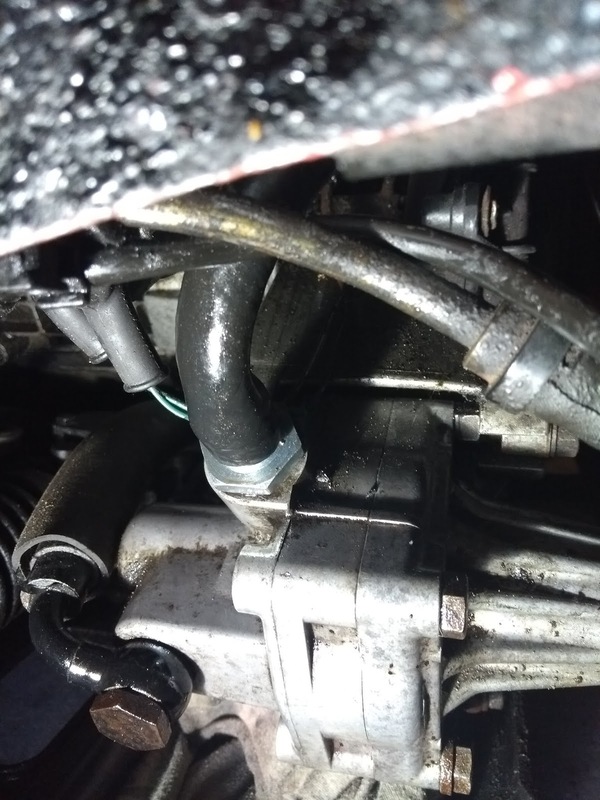 I noticed that the feed hose from the power steering reservoir to the pump was leaking so looked at replacements. The genuine part from Porsche was over £45, there was an aftermarket option for around £25 but that wasn't available so I have to investigate alternatives. Fortunately the great staff at Aghabridge on Medway City Estate came up trumps and were able to supply 12mm suitable hose to fit from the reservoir to pump. While checking the hoses I noticed that there was also an upgraded part to replace the banjo bolt that connects the pipe to the power steering pump so I ordered that from Porsche directly. Successful job and nice to know that the hose is now new and should be good for another few years.